If you follow me on Instagram you'll know I recently celebrated my 23rd birthday on a trip to the music city of Nashville, Tennessee. Though unlike the hoards of bachelorette parties that take over Nashville's streets, this was yet another relaxed mother-daughter adventure. As I get older I tend to keep my birthday quieter each time -- not for any particular reason, but I guess April 7th keeps coming around faster than expected. 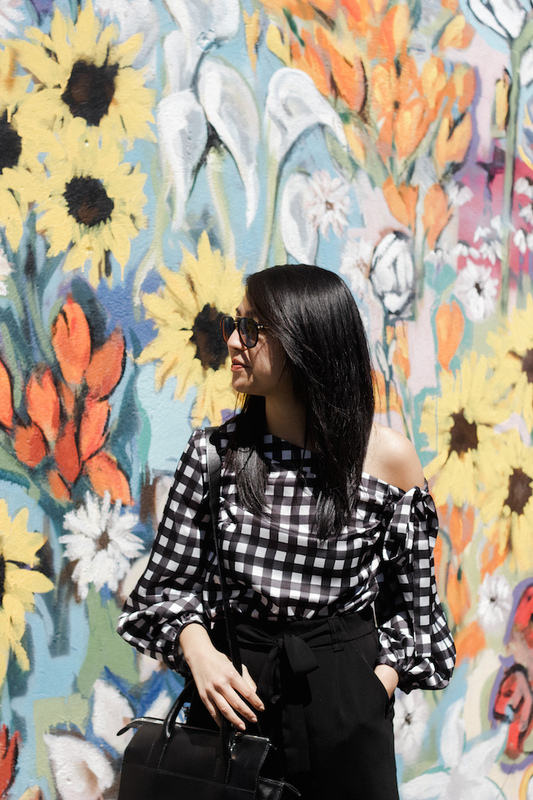 My mom and I spent this sunny Friday strolling Nashville's 12 South and Gulch neighborhoods with no particular path in mind. 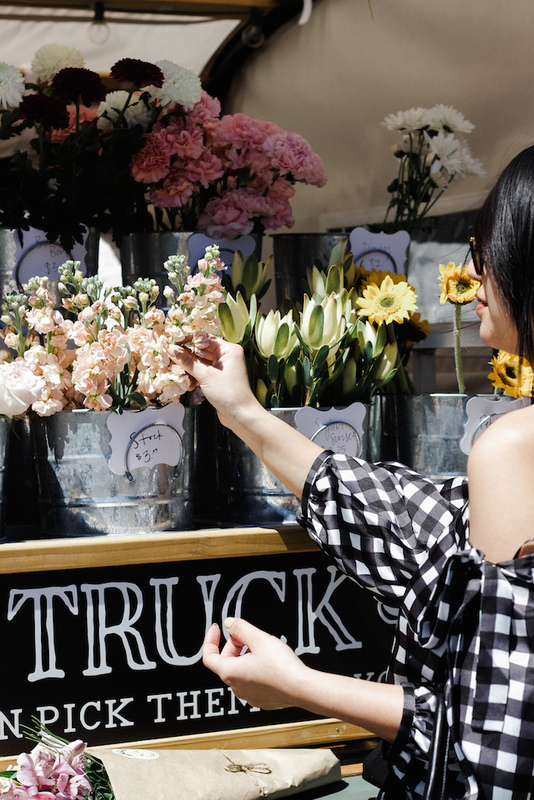 One of my favorite stops was at Amelia's Flower Truck, partly for the lovely flowers, along with the salesperson who was also named Christina and celebrating her birthday that day. What a strangely coincidental birthday surprise, right? For that reason we just had to fight logic and buy a bouquet despite leaving two days later (#treatyourself). 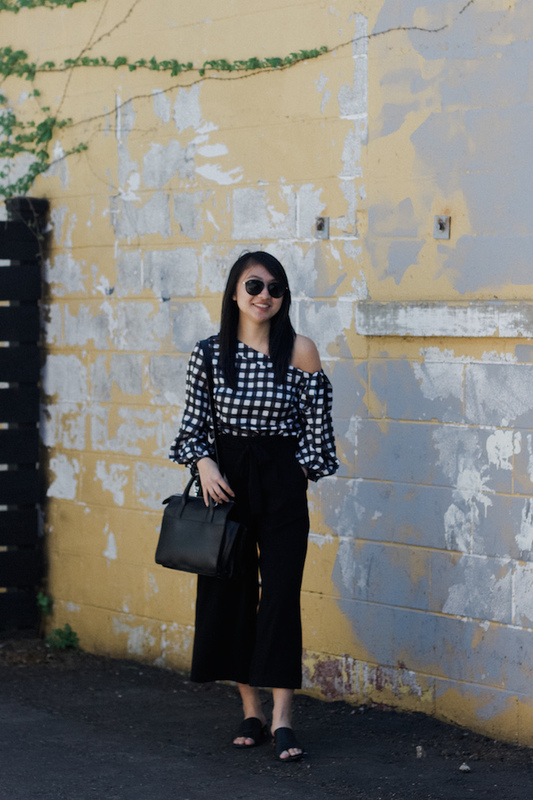 The remainder of the day was perfectly pleasant, between getting dressed up in this one-shoulder number for a French brunch and boutique-hopping around town. As an age twenty-tree never seems too special, but this quiet celebration leaves me with confidence that this year will be a good one. 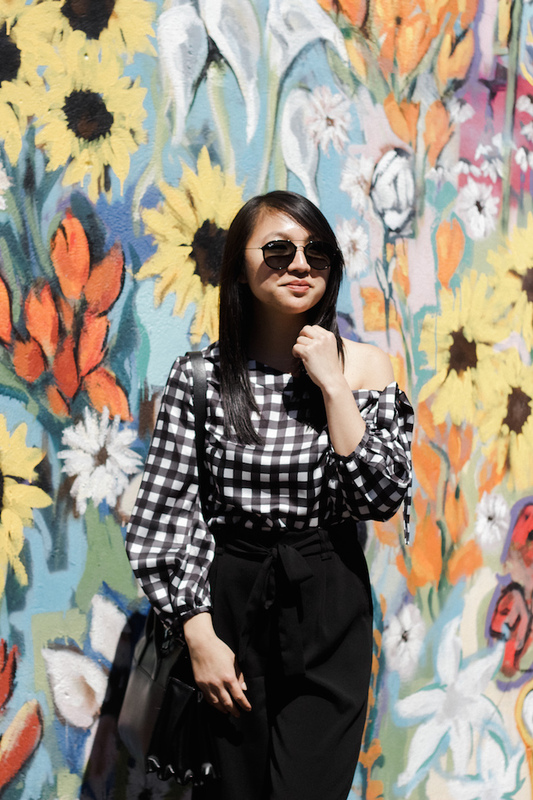 Love how you styled gingham here :) Thanks for dropping by, Christina! Hope you had a fantastic birthday as well! Love everything about this post. 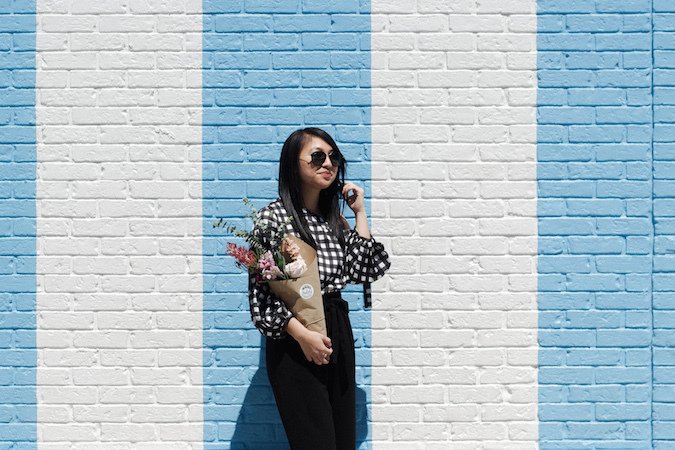 I love the flower truck, blue and white wall, and your outfit. So happy it's finally spring! 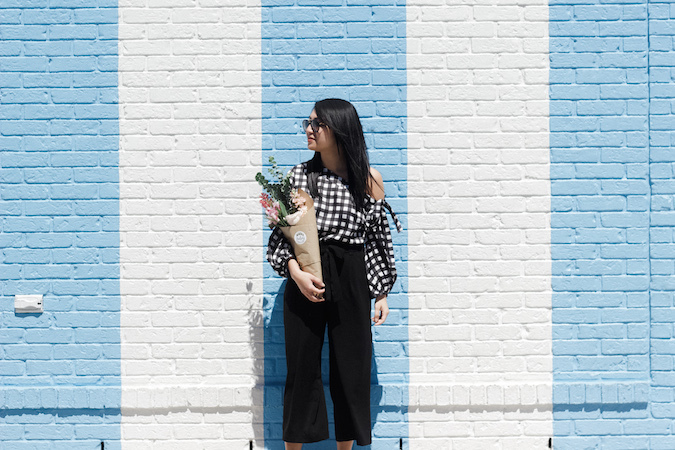 Cute outfit and love the blooms. Such beautiful photos dear ! Thanks for sharing this look with us and I hope you’re having the best start to your week so far! Happy Birthday, sweets! You look lovely. Happy belated 23rd birthday! 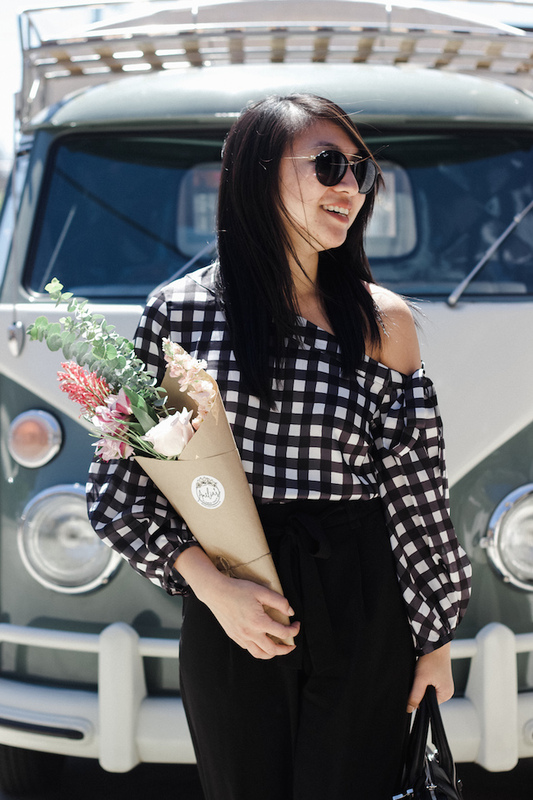 Love your outfit and that is such a cute flower truck! 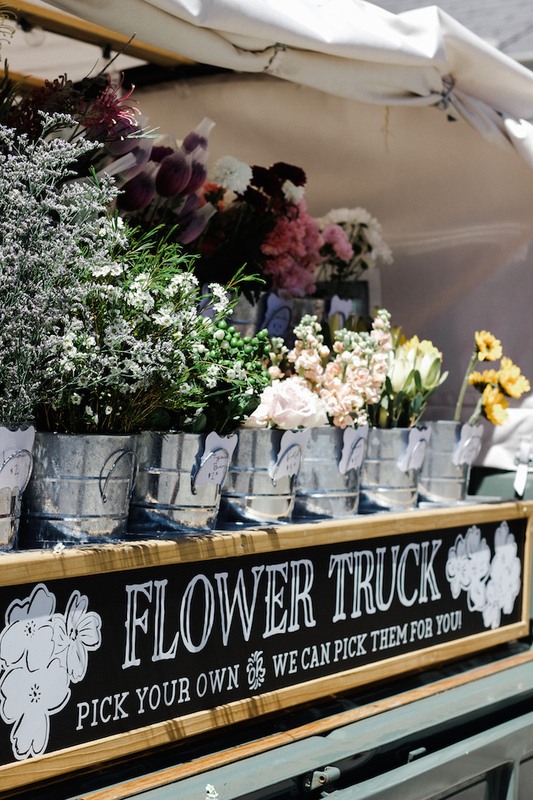 This flower truck is amazing ! 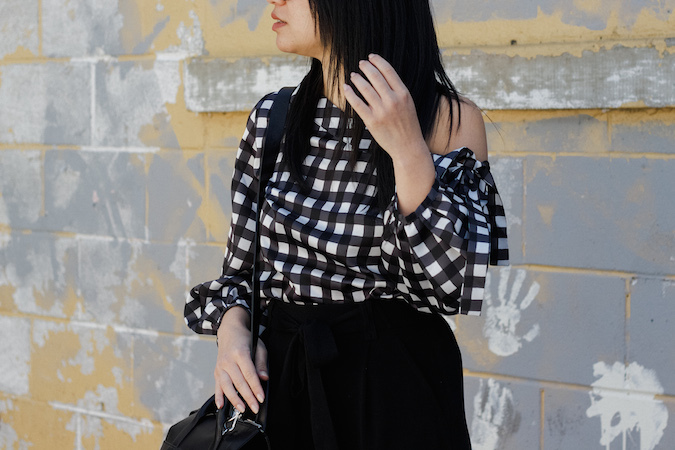 I love your checked blouse ! So pretty. PS: Follow each other? Let me know! Happy belated birthday dear and I adore your check blouse. Happy birthday again! 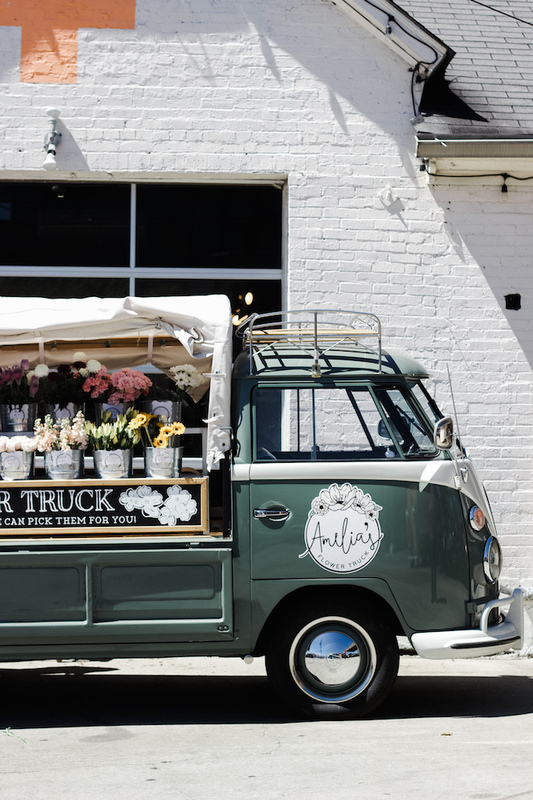 The flower truck is such a cute idea, love the top you're wearing as well! Happy Belated Birthday, hope you had a lovely time in Nashville, those walls are instagram dreams! Happy birthday babe! you look amazing and I love these photos!